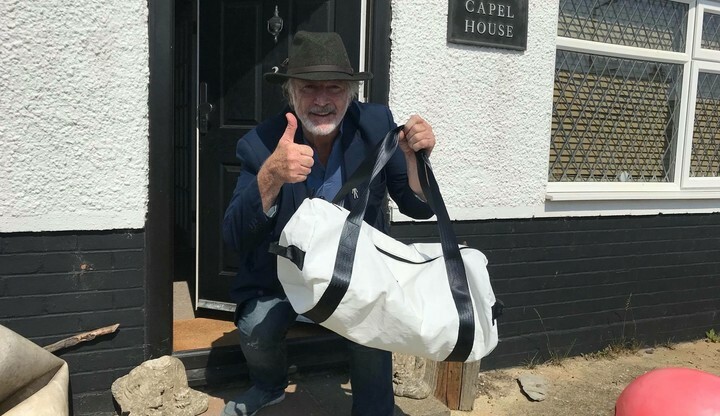 Actor Patrick Bergin is our first customer! 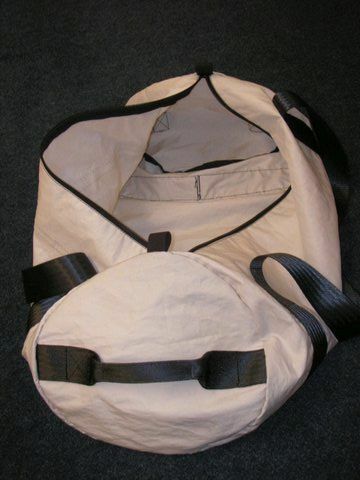 Sail 4 Cancer has launched an exciting range of barrel sailing bags made from recycled sail cloth. This new fundraising programme is called 'Sail 4 Sale'. 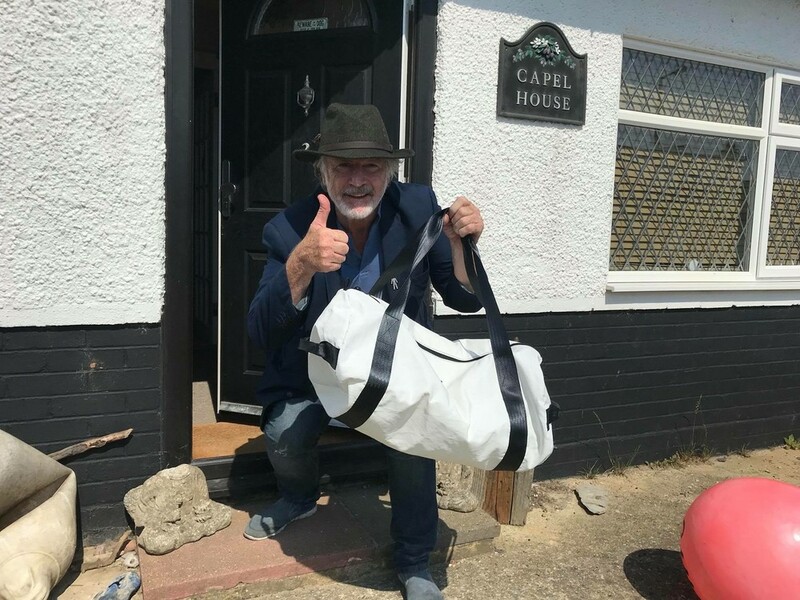 The first bag was bought by Patrick Bergin in Brighton.This recycling project came about after a large donation of used sails was made to the charity from Isle of Wight based sail cloth company 'Wight Sails'. In addition to a new range of bags, Sail 4 Cancer will also be selling a variety of sails which people can then make into garden awnings, parasols and outdoor furniture covers. Commenting on the announcement, Chairman of the 4 Cancer Group Graham Precey said "As a sailing nation, we have a huge appetite for new sails every year. Sadly however, old sails are often overlooked and are usually thrown away in land-fill sites." "Consequently, we have launched our Sail 4 Sale campaign which aims to encourage sailors to recycle their old sails whilst at the same time helping British families living with cancer. All sail donations will be up-cycled into bags and other products to raise funds for the charity." Graham concluded: "This recycling initiative is a partnership between many organisations who are all working together to help families in difficult circumstances. Veolia UK is helping with logistics and StorageMart is assisting with container storage. 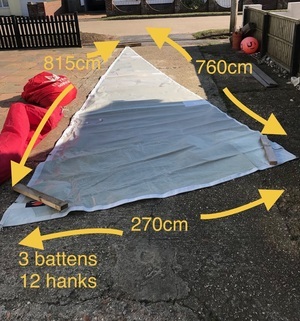 The bags are being made by M-24 and the initial batch of sails have been donated by Wight Sails. We are incredibly grateful for their help." "We have all sorts of sail material available including Dacron, Mylar and various spinnaker fabrics in all sorts of vibrant colours. We're very excited about this new venture and we'd love to hear from anyone who'd like to get involved. Many thanks." The new bags for the Sail 4 Sale project are handmade by prisoners at a prison in Somerset as part of a skills development programme and will keep sails out of landfill while supporting families who need a break from cancer. A three-way benefit! 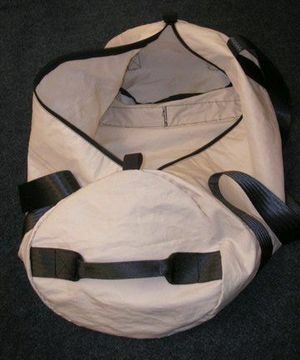 The bigger barrel bag (57cm in length) is £48 and the smaller barrel bag (44cm in length) is £30 including postage. Find out more or make a donation! Donation Form : Sail 4 Cancer releases new luggage range using recycled sails! Looking forward to rocking my new bag!! Great charity and great idea!